Ah, my coat obsession continues. This time with the classic trench coat. 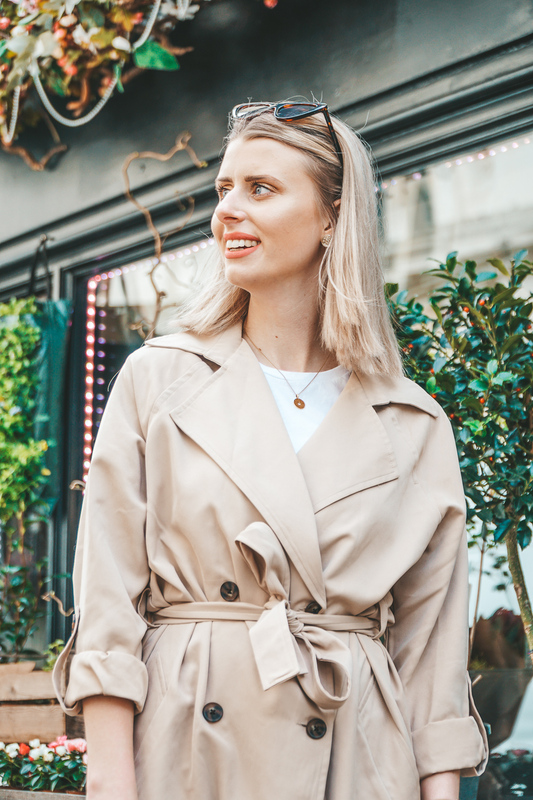 The classic trench has been on my wishlist for a long time now, and I recently finally picked up the perfect one from ASOS, just in time for Spring. If you want to get your hands on this exact one, it’s by Stradivarius and you can get your hands on it here for £49.99. 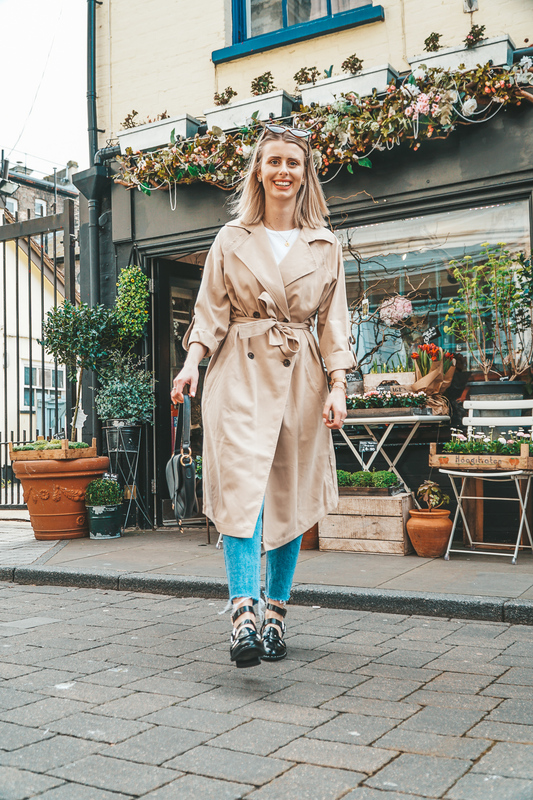 For me, the trench coat is the perfect addition to my wardrobe as we roll into Spring. The sun is shining and it’s not quite coat weather anymore, but it’s not quite t-shirt weather only. 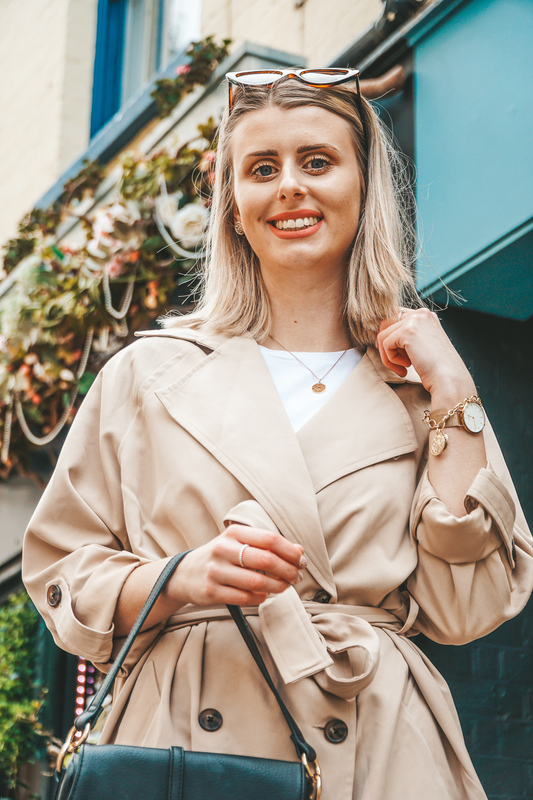 As I headed out in this last weekend, it got me thinking as to why every wardrobe should have a trench coat in it..
It’s not very often nowadays that clothes are truly timeless. We live in an era where we go through trends and pieces of clothing quicker than ever before. Depop and eBay are thriving through sales of clothing that’s only been worn a few times – and sustainability isn’t exactly the forefront of mind for a lot of brands, or consumers. The beauty about a trench coat though, is that it’s a classic. It’s a timeless piece that will never go out of style. There’s a reason why trench coats are so popular. Not only are they a wardrobe staple, they are a staple for everyone’s wardrobe. Your nan, your boyfriend, your kids, your dogs (ok, maybe a step too far there but just imagine your pup trotting around in a sassy trench). But the trench truly is made for everyone – and can be worn by everyone. Just like blazers, a trench coat is oh-so-versatile. 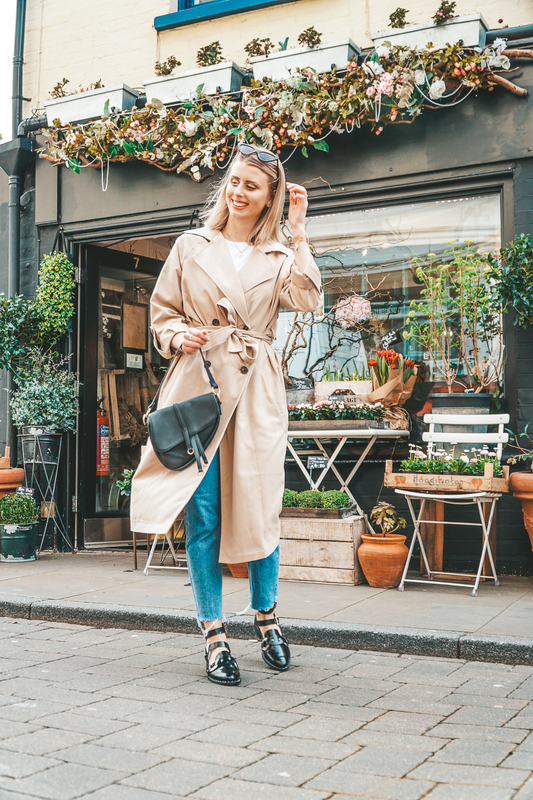 For me, the classic trench and a white tee is my favourite way to wear it – basic, simple, and stylish. But that’s not the only way you can style it. Office wear? This is ideal. Out for the day shopping? You’ve got to go for the trench. Evening out? The perfect jacket to chuck over the top of a pretty dress and heels. I’ve even seen total babes on instagram rocking the trench coat with trackies and trainers and still looking incredible. I like to think because the trench coat is such a classic, timeless piece, it’ll last me a bloody long time. While this jacket wasn’t an investment, I think if you were to spend a significant amount of money on one, it wouldn’t be wasted. And that’s why I believe every wardrobe should own a trench coat. What do you think? Do you own a trench? "How to achieve gel nails at home"